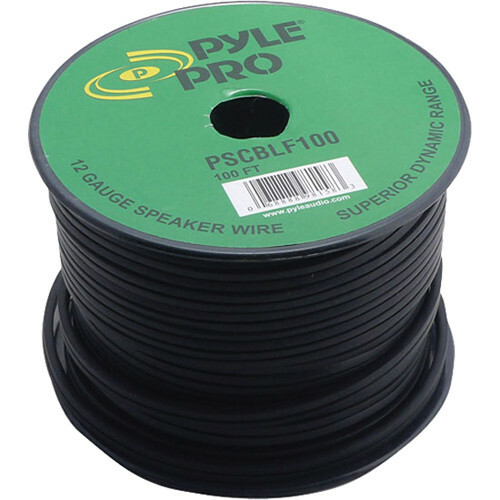 The PSCBLF100 12AWG Bulk Speaker Cable (100') from Pyle-Pro is a spool of bulk speaker wire that can be used for a variety of applications. The cable provides superior dynamic range and has unterminated ends. The rubber jacket provides excellent flexibility and durability. Box Dimensions (LxWxH) 4.6 x 4.5 x 3.4"